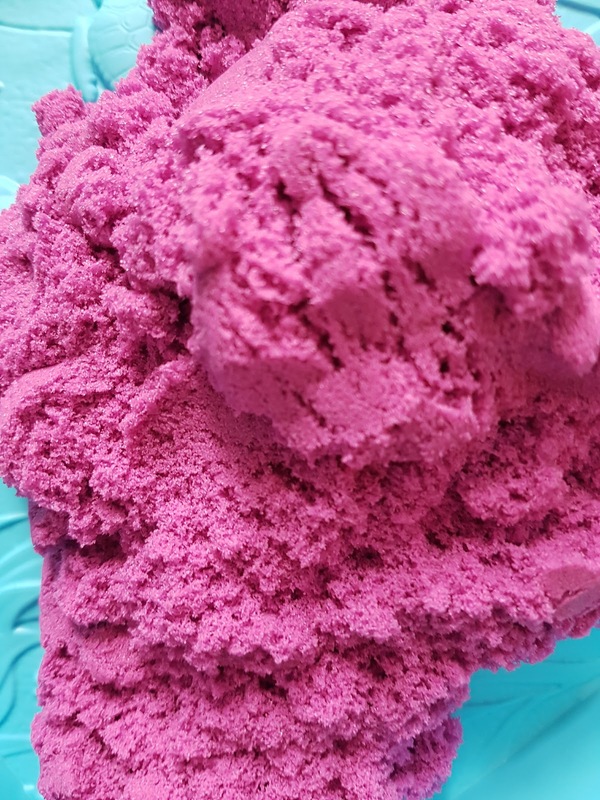 Is this really my life....: Kinetic sand - its amazing! Kinetic sand - its amazing! 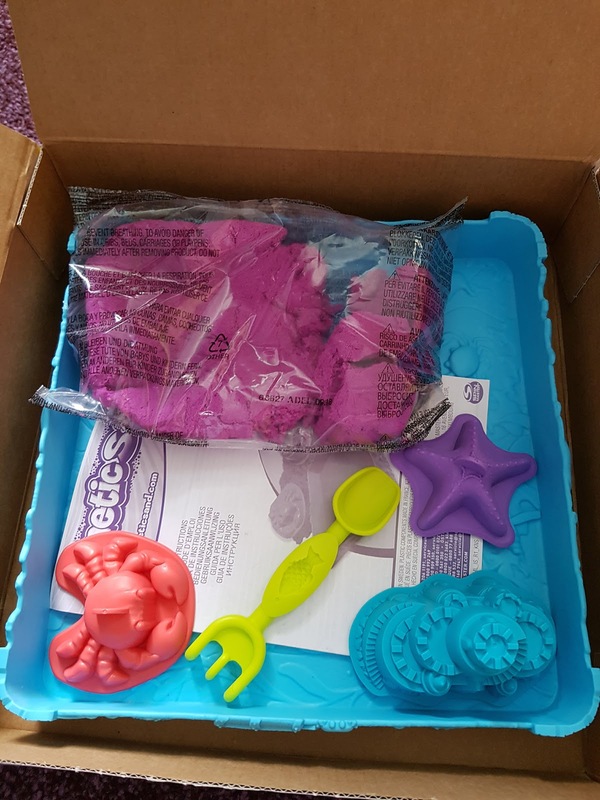 Earlier this week I received my kinetic sand kit, I have tried a cheaper version of this before and found it OK, so I had high hopes for this kit. It did not fail to deliver. Lately Sunday seems to be our family fun day, we've been cooking roast dinners for the whole family including my 3 nephews, brother and sister in law. 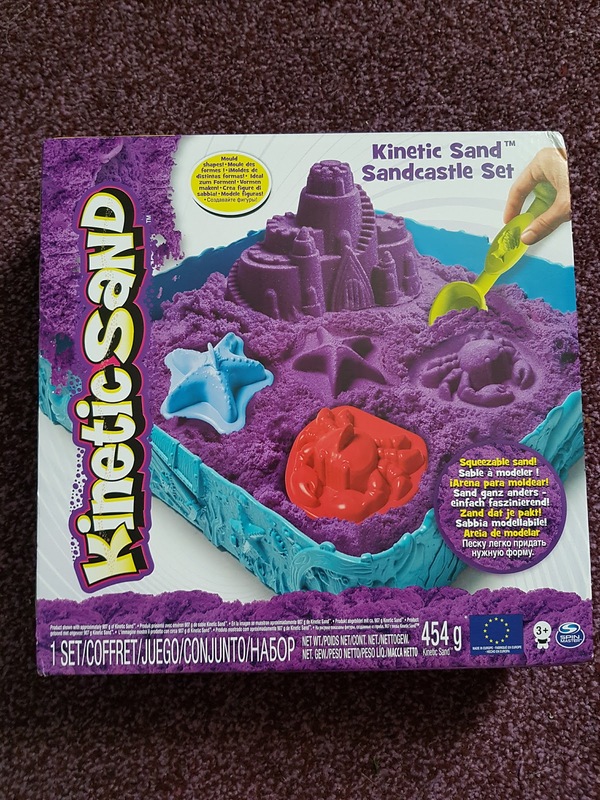 So why not open the sand up as a surprise. This was a complete success, all four kids and four adults loved it. 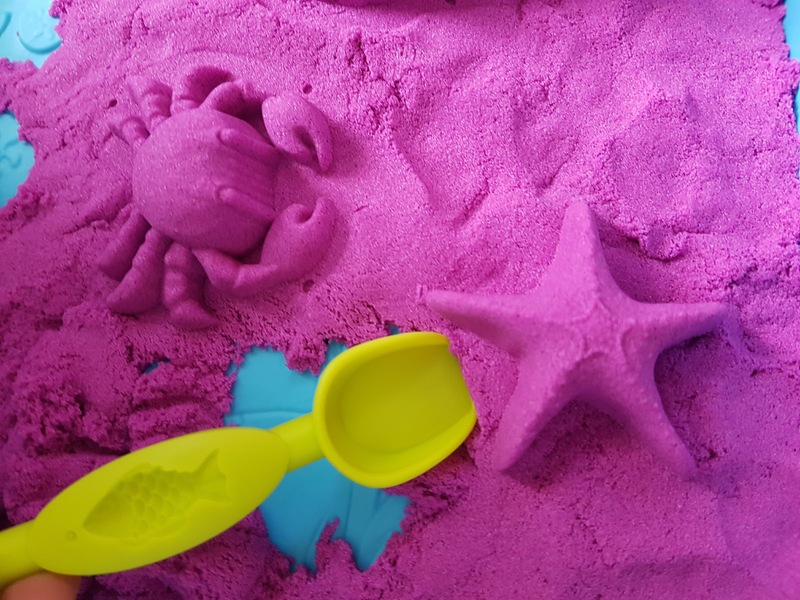 The kit included Purple sand, a tray, a small shovel/spade and three moulds ( crab, castle and starfish). 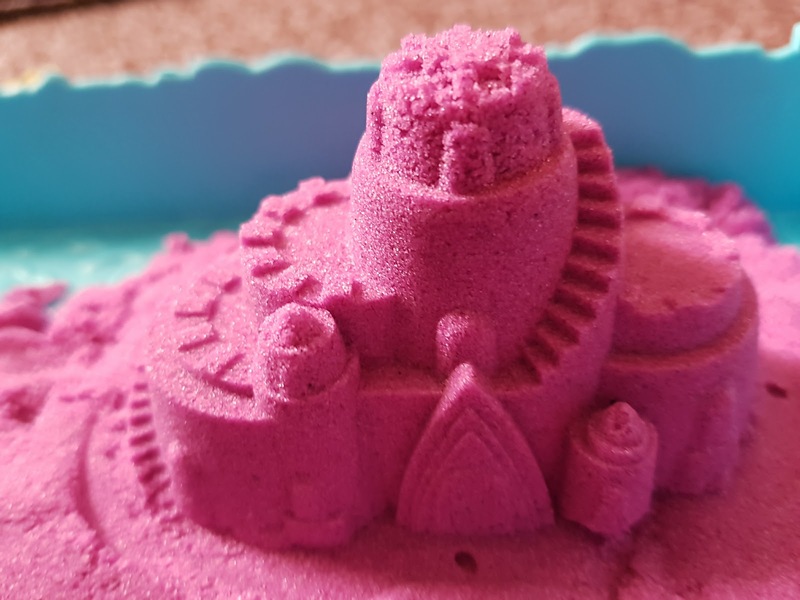 The kinetic sand can be shaped into any shape but once the mixture has started to break up it falls apart in what I can only describe as fluffy soft sand. 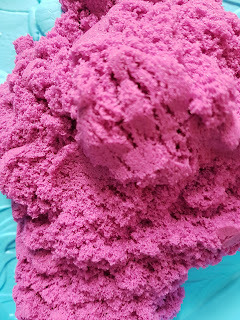 The sand holds together really well once formed and doesn't break apart as long as it is left in that position. The small soft grains are so soft that my two year old nephew was giggling as it fell onto the blue table. From the ages 2-34 years old we all played with the sand for almost an hour before dinner was served. The various building abilities from person to person. I myself made a fantastic wall while others tried to sculpt a dog out of the sand. My nephews loved it so much ( 2, 9 and 12) they've asked for different sets each for Christmas. That's an easy thing to get and not a bad price either for the hours of fun they will all be having.